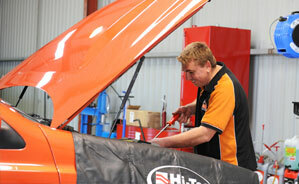 Regular car servicing will ensure your car is safe and reliable, protecting your investment. At AAS our quality staff will undertake logbook servicing to the manufacturer's specifications to ensure your warranty stays intact. 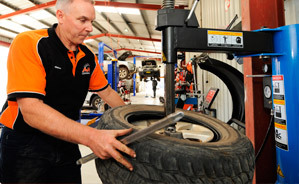 Poorly aligned tyres will lead to uneven, rapid tyre wear. It also affects the safety of your vehicle by pulling your vehicle to the left or right instead of a straight driving line. 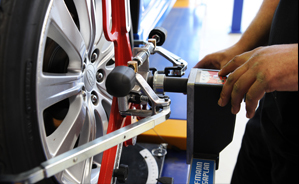 At AAS we can perform wheel alignments on all tyres up to 24". The professional staff at AAS are proficient with repairs on any makes or models of car, including both petrol and diesel engines. We are already the repairer of choice for a number of local companies. To ensure a top quality ride, good handling and ease of manoeuvrability, steering and suspension must be working properly. AAS carry a wide range of high quality steering and suspension replacement parts from shock absorbers to new steering pumps. The most important safety feature in any vehicle are the brakes, and it is critical to have your brakes checked if you experience any braking issues. 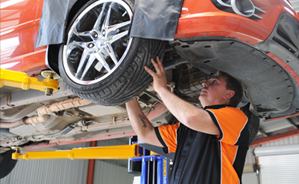 AAS has qualified specialists available to diagnose and repair any brake performance problems. 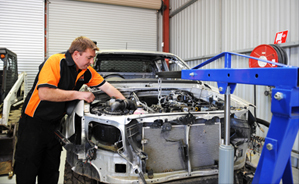 At AAS the latest computerised vehicle diagnostic systems are used during servicing. These powerful instruments ensure efficient detection of any current issues that may be difficult to detect manually. 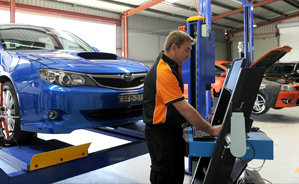 The team at Advanced Automotive can carry out all your car registration checks. At AAS we can provide you with new, competitively priced tyres as part of your services or repairs. Being able to sell, change and balance your new tyres will save you time and money, adding to our all-inclusive service and repair packages. We are proud to offer specialised repair services through our sister company, Leven Smash Repairs, located next door to our premises. 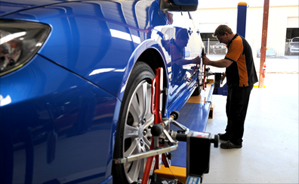 LSR is the smash repairer of choice for insurance companies and the local community. Click here for more information.